When a church celebrates over 70 years of existence, it is amazing the number of hours people are willing to put in to make a church grow. Our Savior's is no exception. When you review the history of our church, many volunteer hours were donated to get us to where we are now. People working together to further God's kingdom. This is what makes a church, a church. Yet, as every building is aware, without a solid foundation, the building cannot stand. Our church has flourished because it is built upon the Only Foundation that will never fail, Christ Himself. It is through His power that our church has been successful. It is to his glory that we exist. It is to Him that our success must be credited. The congregation was organized on October 21 with 4 charter families. 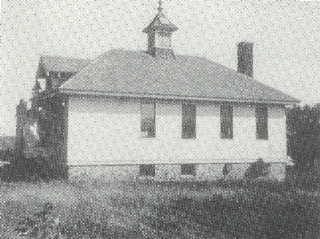 The first resident pastor was called and the Roosevelt School was purchased and renovated. Two classrooms were added and Our Savior's Christian Day School opened its doors in September. 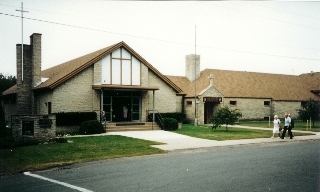 The building of a church superstructure was completed. A new parsonage was completed. A new entryway was constructed, making it handicap accessible. The education wing was replaced with a brand new modern facility. Our church has grown by the grace and powers of God. Yet, it was because our church was built upon the solid foundation of Christ that it has survived and grown. And we know today that as long as we remain upon the solid foundation of Christ, our church has a bright and glorious future to look forward to, both now and forever. Our Savior's........Growing in Grace to Glory.